Periodontal disease ("gum disease') is an infection of the gums and of supportive tissues surrounding the teeth. Many people develop gum and tissue problems. The good news is that periodontal disease can be controlled. In some cases, it can even be reversed. Periodontal treatment can make your mouth healthier and help preserve your teeth. You could have periodontal disease and not even know it. That’s because periodontal disease is "silent"; it often has no symptoms. This is true even in the late stages of the disease. Periodontal disease can destroy the soft tissues and bone that support the teeth. But with regular checkups, the infection can be caught early and treated. This offers the best results. There is a direct correlation between periodontal disease and your overall health. People with diabetes are at a greater risk for periodontal diseases. And having periodontal disease can make managing diabetes more difficult. Multiple studies have also found a direct link between periodontal disease and heart disease. The incidence of heart disease is about twice as high in people who also have periodontal disease. Your CDA dental team can help you better understand periodontal disease and how you can prevent it. They can quickly and painlessly check and monitor the condition of your gums during your recare appointments. Your examinations may show signs of infection, such as bleeding or pockets (spaces between your teeth and gums) that are deeper than normal. Your dentist may suggest a course of treatment that will help stop any further damage to your gums and bones. 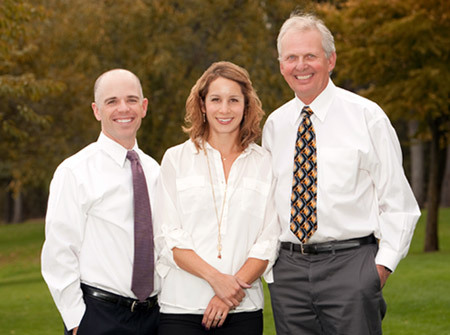 Your dental team will then design a homecare regimen for your specific needs. Treatment of periodontal disease is initiated after a comprehensive review of medical and dental history and full oral exam. The initial stages of treatment include scaling and root planing (“deep cleanings”) usually combined with antibiotics and bite correction (through orthodontic treatment such as Invisalign or traditional braces). If the severity of the periodontal disease is great enough or initial therapy does not control the disease surgical intervention may be required. A periodontal maintenance procedure is not the same treatment as a regular cleaning even though a hygienist may perform both services. After a patient has been treated for periodontal disease, either with root planning or surgery, a standard cleaning addresses scaling and polishing above the gumline, a person who has periodontal disease requires below gumline maintenance. Typically an interval of three months between appointments is effective in maintaining. As in many other chronic conditions, successful long-term control of the disease and prevention of tooth loss depends on continual, and possibly lifetime maintenance. How often does my insurance pay for periodontal maintenance? Many insurance plans pay for perio maintenance twice a year, even though most patients require appointments four time a year. Remember that insurance plans limit the number of exams, cleanings, and perio maintenance appointments that are covered because these are the types of treatments that many people need frequently. The good news is that any amount paid reduces what you must pay out of your pocket. If my insurance will only pay for periodontal maintenance twice a year, why should I have it done more often? It is a mistake to let insurance benefits be the deciding factor on your dental health. People who have lost their teeth often say that they would pay any amount of money to get them back. A person's teeth, smile, ability to chew and enjoy food are dependent on dental health. Don't forget that recent studies we have informed you about show the correlation between perio disease and certain heart conditions and other systemic diseases. It is worth the time and expense to keep your teeth for a lifetime. Take note: If you have periodontal disease, you are no longer benefiting from a "cleaning". You need periodontal treatment. Dr. Thompson is an accomplished musician. He can play the drums, guitar and piano.